ooh la la... 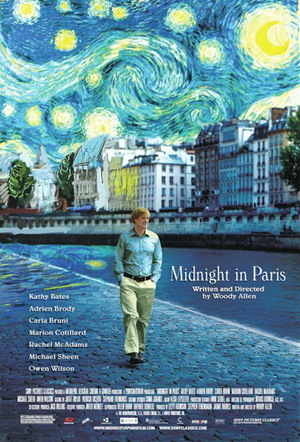 Midnight in Paris looks BEAUTIFUL, non? This Woody Allen film will open the Cannes Film Festival on May 11th... I cannot wait to see it... GORGEOUS cinematography, non? Now... be sure to visit other A to Z April Challenge participants... and Reading is Fashionable to get you PINK fix for the weekend !!! They turn off the lights on the eiffel tower at midnight in Paris. lol- lame but true. It is beautiful though, when they're on. Dropping in from the A-Z Challenge, and enjoying the sight of Paris you've shown on your blog. Next destination: unknown, but happy to meet you from the challenge! As always a gorgeous share. I love coming to see what you are up to. I am just about ready to post my Pink Saturday post and sweetie, I hope you enjoy it as much as I did putting it together. It is all about your reading site. Pop over soon. oh lala love this and love Paris. I love your paintings! And I enjoyed the Paris post. 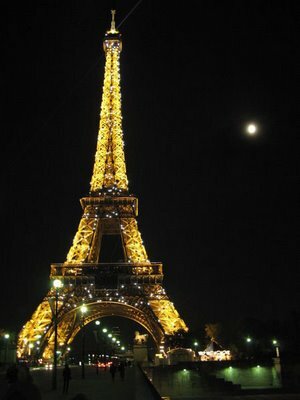 Love the Eiffel Tower at night. The movie looks interesting. Shows a lot of Paris. Very pretty..Thank you for sharing...HPS! 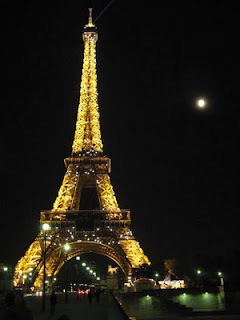 There is nothing as beautiful as the sight of the Eiffel Tower! Thank you for sharing the information about the film.